At the South African Gymnastics Games in Pretoria Onke Mangele was selected for the National Team to represent the country at the Zone 6 Championships in Zimbabwe. He was our second athlete to travel abroad to compete in international competition. 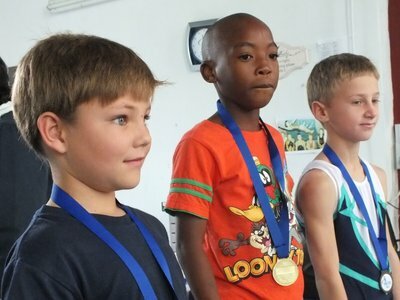 He came home with the first ever international medals for Nemato Change a Life: silver on the double mini trampoline and silver and gold for the SA team on double mini and Euro trampoline. 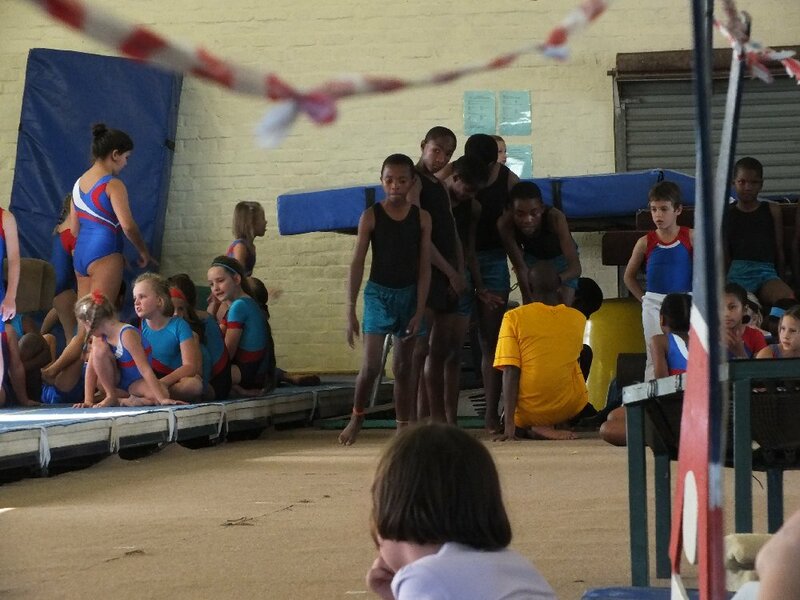 For our last gymnastics competition of the year we went to Andersons's Interclub Competition in Port Elizabeth. 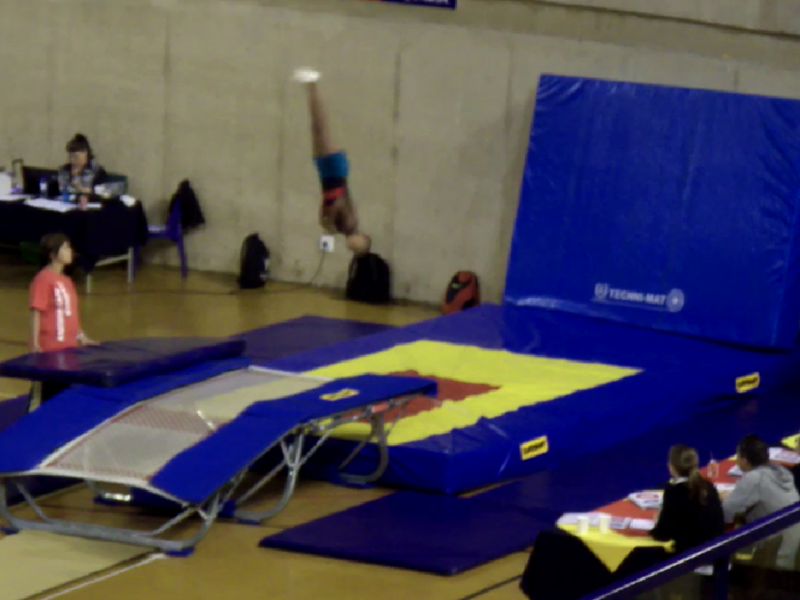 It was a small competition, just an afternoon of tumbling and trampolining, quick, nice and a lot of medals. 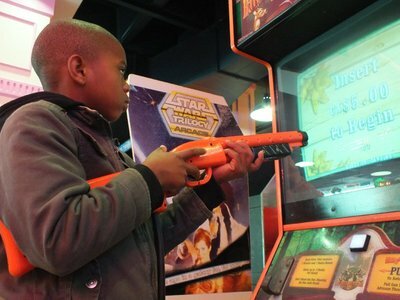 To make the trip extra special, we visited Boardwalk with all the kids games, a beautiful fountain show and fried chicken. 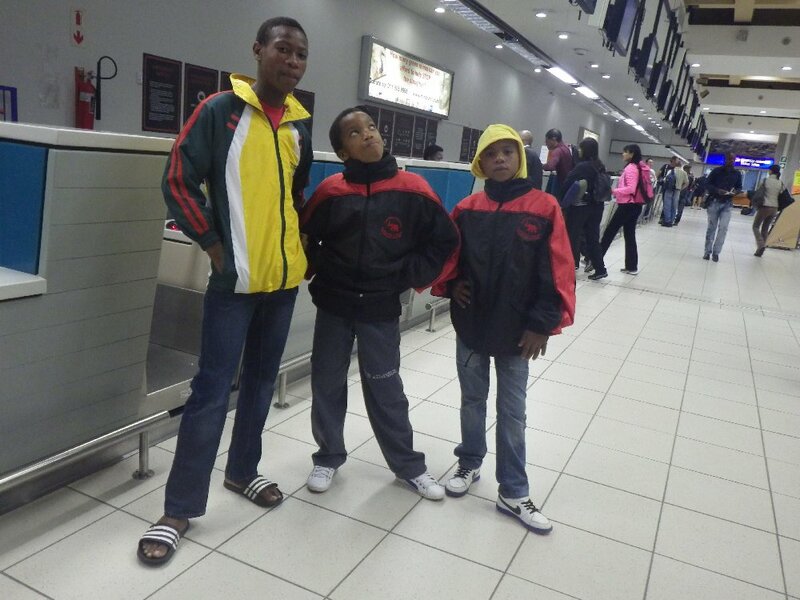 This was the big trip for Siphamandla Baku to Gymnastics World Age Groups (Junior World Championships) in Bulgaria. 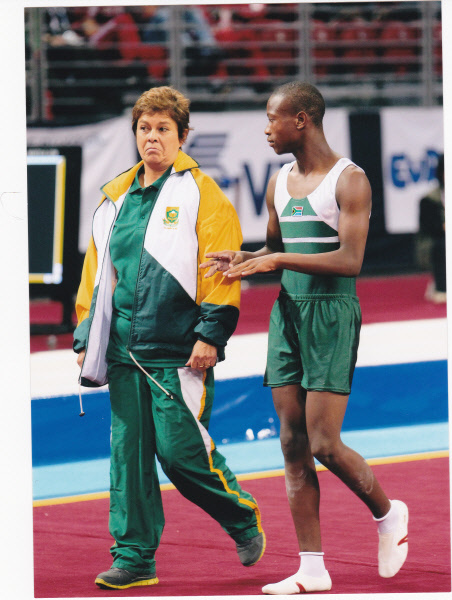 He is our first ever athlete selected for world championships, an extra amazing achievement keeping in mind that only in the weekends when he trained in Port Elizabeth he had good equipment and coaching. His first jump was fantastic: a sixth place. 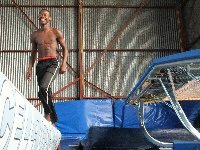 That would have taken him as only South African in the entire event to the finals, but unfortunately the landing of his second jump was not good. He was still the best performing South African in his age group. 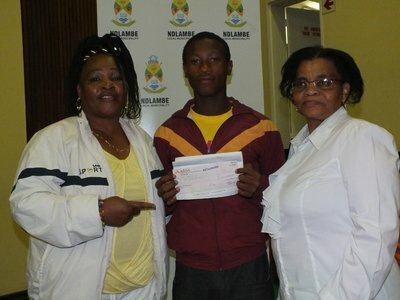 Well done Siphamandla, we are very proud of you!!! The Cacadu District Municipality has contributed R20,000 towards the trip of Siphamandla Baku to Bulgaria for Junior World Championships. 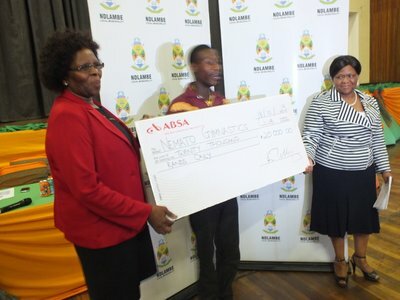 There was an official hand-­over event in the Civic Centre in Port Alfred. We thank the district for their great support! South African Gymnastics Games took place in Pretoria. We selected the 12 most committed members for the trip. The competition took five long days. We are very proud of Siphamandla Baku. He is the first Nemato Change a Life member ever to become South African champion. He won gold on the double mini trampoline in the age group 15 to 16. He also got silver for tumbling at level six. 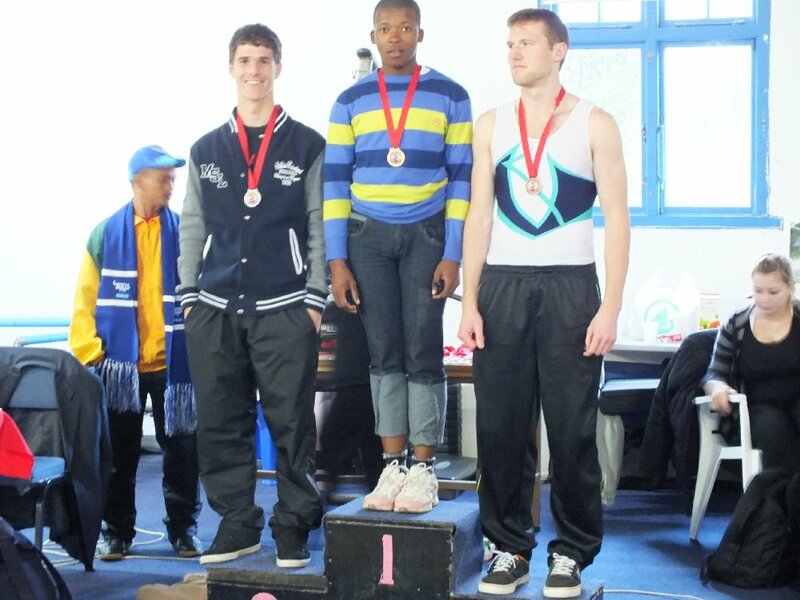 Onke Mangele got bronze on the double mini trampoline in the age group 11 to 12. Well done! To experience Gauteng, we added some 'specials' to the programme. We took the Gautrain to Sandton, it was the first time in a train for many, to enjoy ourselves on Mandela Square and watch how the rich spend their money! We also went to see some animals in the Lion Park as well as meeting our ancestors from millions of years back in the World Heritage Site, The Cradle of Humankind, where we visited the great Maropeng Museum and the Sterkfontein Caves where Mrs Pless and Little Foot were found. 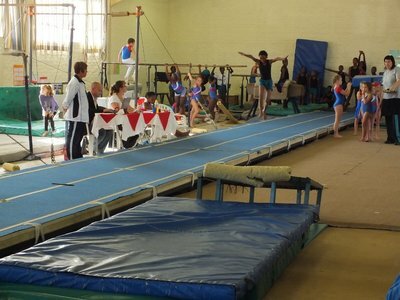 The Eastern Cape Championships was a nice two days event in Port Elizabeth. 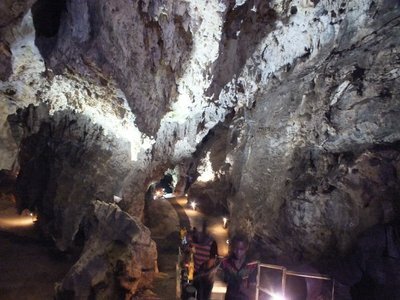 The first day was for the high levels at Mandy's gym and the second day for the lower levels at Anderson's. We are proud that most of our gymnasts were competing on the first day and did really well. 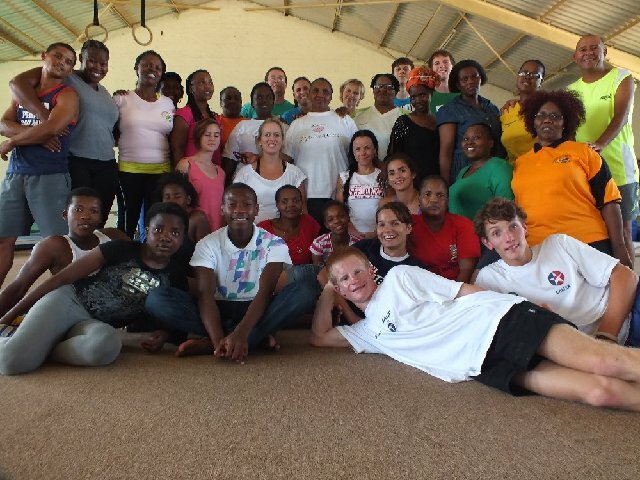 We are proud that many of our members have been selected for the Eastern Cape team for South African Gymnastics Games in Pretoria at the end of September. A total of 14 members have been selected for 32 events, mostly at higher levels, That makes us the second club in the province. Thanks to Stenden University for transporting us. 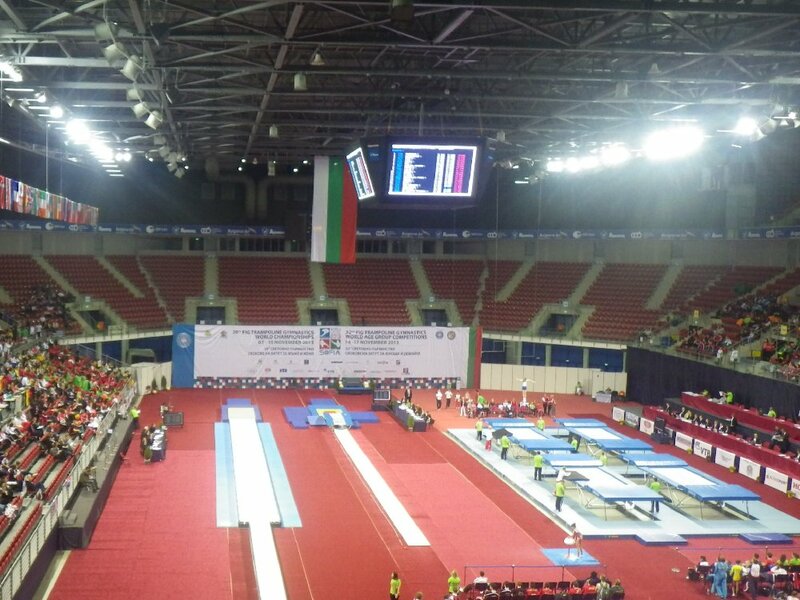 It was unfortunate that two gymnastics competitions took place on the same day, so we were forced to make a choice. Based on Mandy's ongoing support and the high quality of the competition, we participated in Mandy's Classic. We are happy to see a great improvement in the quality of our gymnastics. 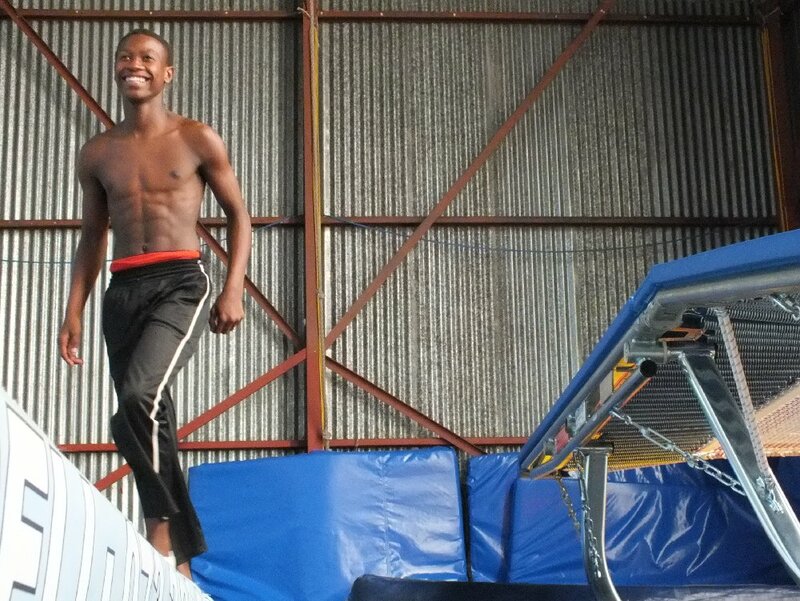 Mandy's coaching of Siphamandla doesn't only make him a much better gymnast, but also a much better coach. He is lifting the entire club to a higher level. 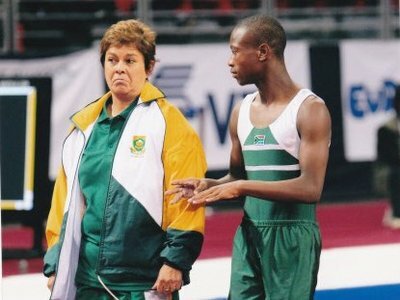 Mandy's own gymnasts started fearing us, and we are on our way to become one of the best clubs in the Eastern Cape, if not the country. 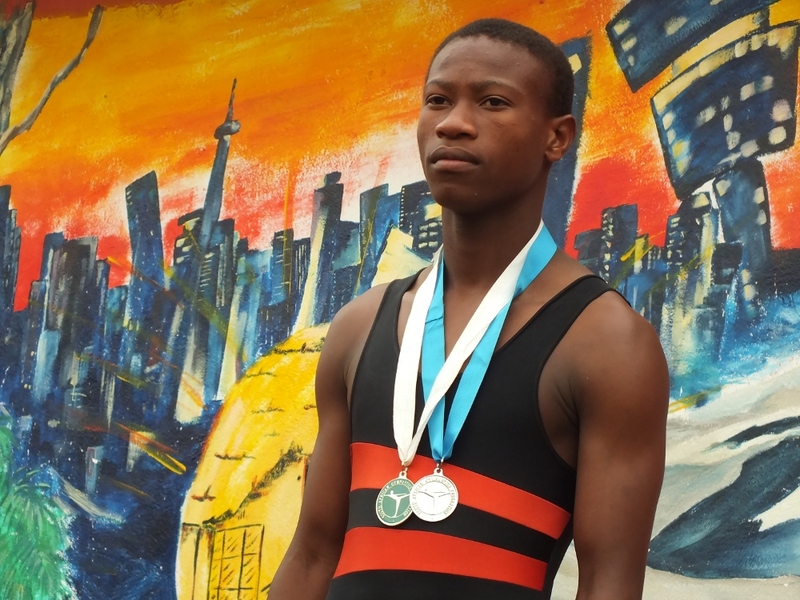 The three Nemato gymnasts Siphamandla Baku, Onke Mangele and Siphokuhle Nyoka flew to Gauteng to participate in trials for the national team, with Siphamandla Baku achieving the impossible by winning his trials. 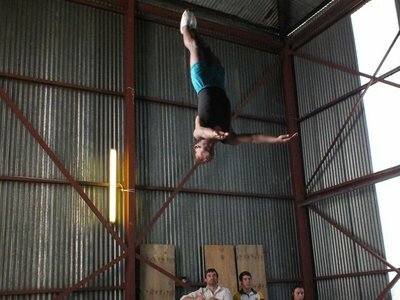 The difficulty of his jumps was the highest in his age group, and so were the points he got for his execution. 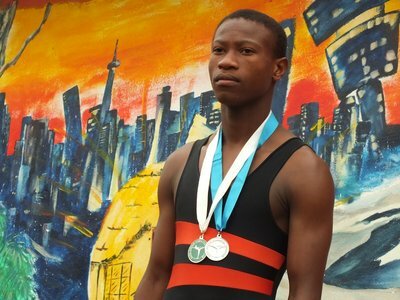 Based on these excellent results, he is selected for the National Team to participate in the Gymnastics World Age Groups (Junior World Champs) in Bulgarian in November. 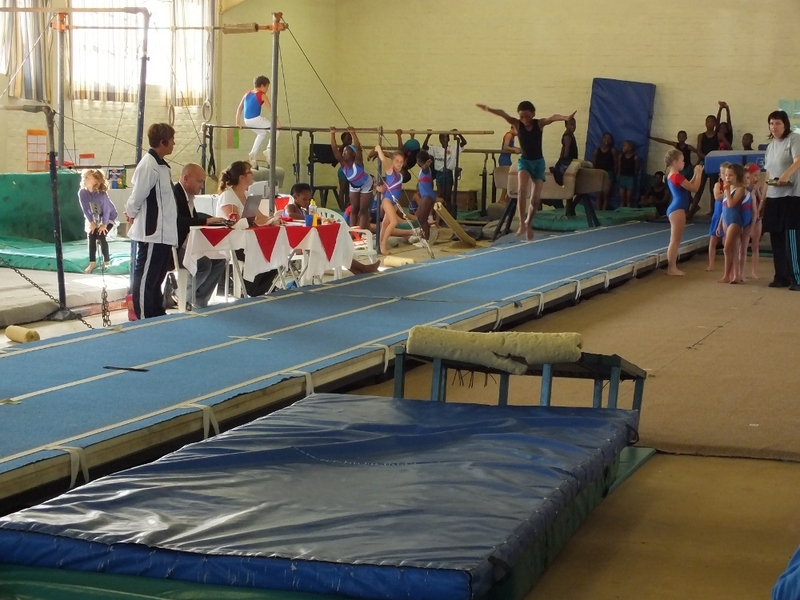 The first competition of the year for our gymnasts was Anderson's Club Competition in Port Elizabeth. 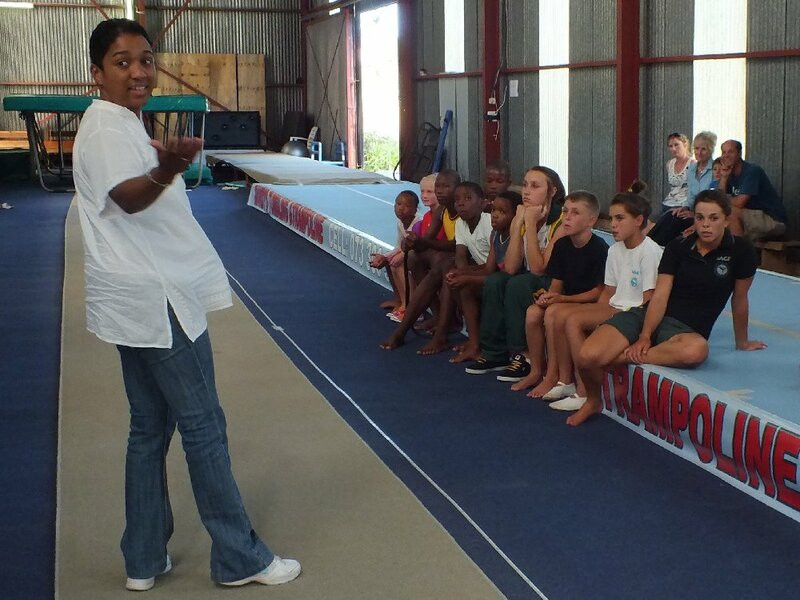 We spend our weekends we with a small group of our top gymnasts at Mandy's Tumbling & Trampoline School to get trained by the best coaches in the country. This is having an amazing impact on the level of gymnastics of all our gymnasts. The quality of our training and coaching has gone up dramatically in a very short time, and it showed at the competition. Siphamandla Baku impressed the crowd not only with very strong tumbling and trampolining, including a beautiful double front somersault with a half twist (fliffis) followed by a double back somersault on the double mini, but also with his coaching of our entire team. All our gymnasts are showing great skills. With Nemato and Sunshine Coast Gymnastics Club both going from strength to strength, we can safely claim that Port Alfred has become one of the strong gymnastics centres in the Eastern Cape. Our next challenge is to get proper training facilities in Port Alfred. We thank Stenden South Africa for transporting us to Anderson's Competition Port Elizabeth! 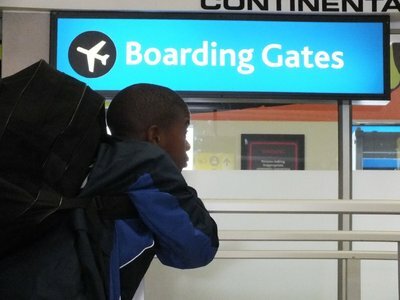 Flying to Joburg and Gautrain to Pretoria, Exciting! Even more exciting: WAG Trials! World Age Groups, that are the Junior World Championships for gymnastics. First trials after just one month of preparations. Obviously not yet ready for WAG, but we have come a long long way in a very short time. Watch out, next time we'll be on top! After struggling for half a year to get a replacement, at last we found an affordable, almost new jumping mat directly from Eurotramp in Germany. 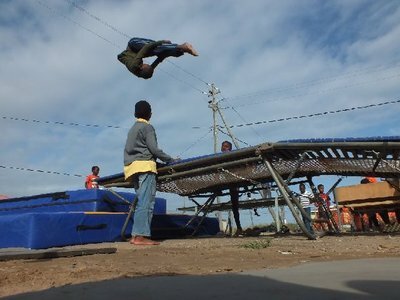 Our double mini trampoline is back in working condition. 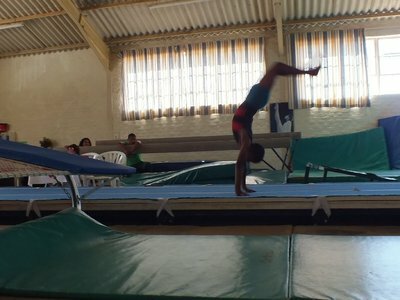 Great news, especially for the more experienced gymnasts who were stuck with only beginners equipment in working order. Our two elite gymnasts, Siphamandla Baku and Philasande Mara, did the two day General Leader Course in Port Elizabeth. 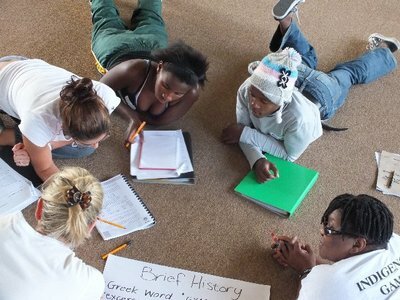 A nice course with a lot of practical ideas on how to make sessions fun and effective. But writing the test is a lot of hard work. After winning silver at World Championhips twice, the Esatern Cape Department of Sport donated a double mini trampoline to Bianca Zoonekynd and her mother and coach Mandy. 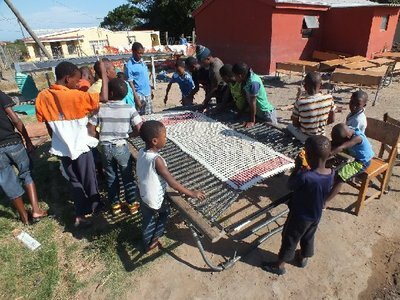 We were invited to participate in the handing over ceremony in Port Elizabeth.